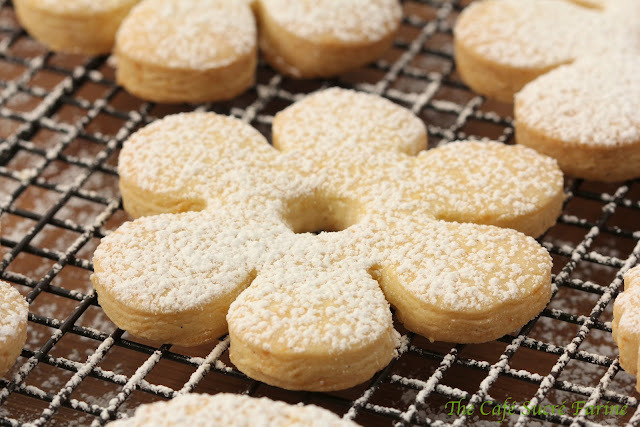 These Canestrelli cookies are buttery and melt-in-your-mouth delicious. 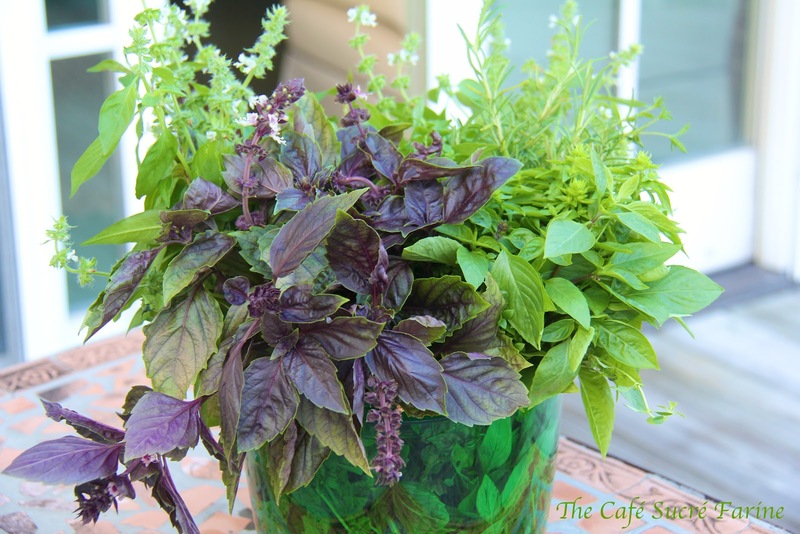 The ingredient list may surprise you! My husband, Scott, has been telling me that I need to change the name of the blog. What do you think? I really like calling it The Café Sucré Farine but he says I need to call it The Crazy Cook. Why? Well, we’re vacationing this week at the South Carolina Coast. He says that most people take a vacation to get away from cooking but me, oh no, I have a blast cooking and trying out new recipes for my sweet family to enjoy! I guess it’s just part of my love language. Please don’t be telling me that you agree with him! Let’s just talk about something else. I teased you last week with pictures of these delicious Italian Canistrelli Cookies. I shared that the recipe was a bit unusual and I think you’ll agree. I’ve never seen a cookie recipe that called for – are you ready? Hard boiled egg yolks! Yes, you read that correctly; hard boiled egg yolks! The egg yolks are hard cooked before adding to the rest of the dough ingredients. After cooling, the yokes are pressed through a fairly fine sieve. 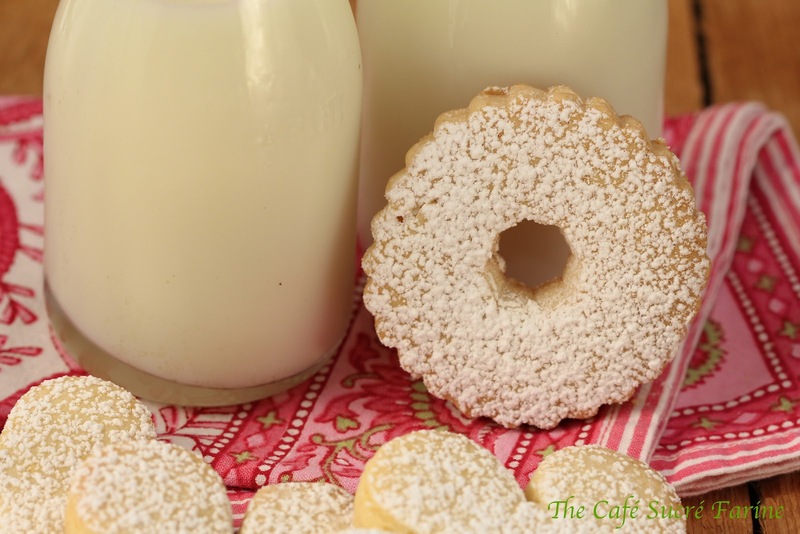 The rest is similar to a traditional shortbread recipe. The cookies are rolled quite thick, cut in shapes, and baked until pale golden. The results are hard to describe; buttery, melt-in-your-mouth, not too sweet, and they look just gorgeous on a cookie tray or beside a bowl of ice cream or sorbet. I served them last week with my Fresh Cherry-Limeade Sorbet – a delightful combination! If you’re looking for something unique, delicious and sure to bring rave reviews, pass a tray of these lovely Canestrelli at your next gathering of family/friends. Just don’t be surprised if there are only crumbs remaining when it comes back to you! 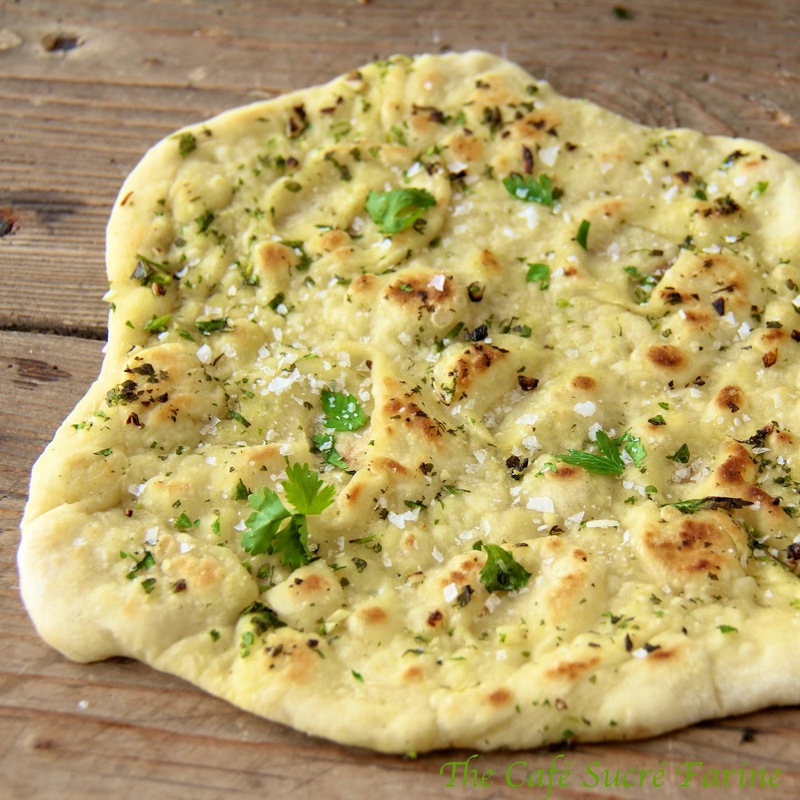 Check back on Wednesday for a recipe from one of our favorite beach picnic lunches: Herbed Naans (another 5 Minute Bread Recipe!) and one of the most fun sous chefs you’d ever want to meet! With an electric mixer combine butter, sugar, and mix until well combined. Add salt and vanilla. Press the egg yolks through a fairly fine-mesh strainer and add to the butter/sugar mix, then beat until well combined. Don’t skip the egg-straining, or you’ll end up with lumps of egg yolk in your dough. Add the flour and the cornstarch to the butter mix, taking care not to overwork (and warm) the dough. Sandwich the dough between two pieces of plastic wrap, or parchment paper, then pat flat into a disk and chill in the fridge for 1 hour. Preheat the oven to 325˚F (160° C). Roll the dough, still sandwiched between the two pieces of plastic wrap or parchment paper, to about a 3/8 inch or 1 cm thickness and cut with a 2-inch flower-shaped cookie cutter. If your cutter doesn't have a hole cut-out in the center you can use the cap of a marker. To avoid the dough clogging the cap, place a piece of plastic wrap slightly larger than the cookie cutter over the cookie, then cut the hole. The dough from the hole, wrapped in plastic wrap, will still get inside the cap, but you can easily pull it off and set it aside with the other scraps of dough. 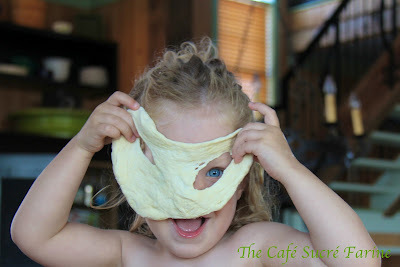 Take leftover scraps of dough, press them together and place between two pieces of plastic wrap. Press dough into a disk and refrigerate for about 30 minutes or freeze for 10 minutes, then cut more cookies. Place the cookies on sheet pans lined with parchment paper, two inches apart, and bake for 18-20 minutes or until pale golden. Let the cookies cool on the pans for 5 minutes, then carefully transfer onto a wire rack until completely cool. Dust with powdered sugar, then store in an airtight container. These keep well and are supposedly even better after a day or two. It's hard to keep them that long around my house. 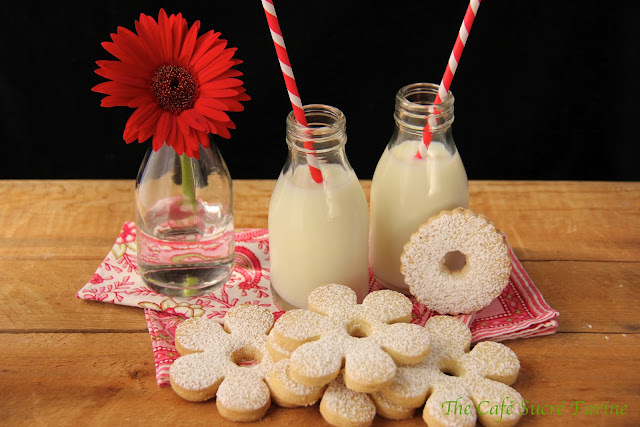 For years, I have been looking for a different shortbread cookie recipe to try and your recipe is certainly it. Your cookies are very pretty. I love the cookie cutter shape with the hole in the center. May I ask where you got the cookie cutter? Thank you so much. 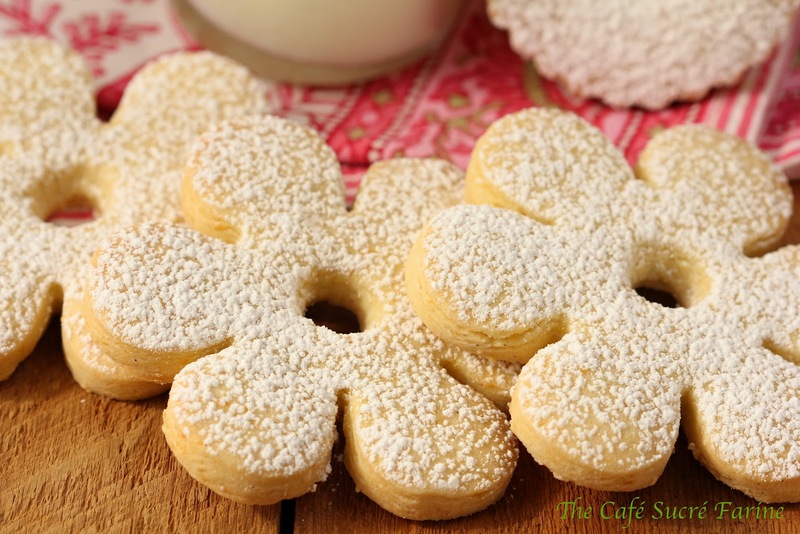 I needed a recipe for Italian Biscuits and this recipe was perfect to go with the Chocolate Hazelnut Semifredo with Hot Chocolate Sauce I made for a friends birthday. They turned out so light and yummy. I love these cookies! So special for baptisms, weddings & the like. Will you please tell me. Ifthese freezewell? I would like to make them in advance for my son’s baptism. Thank you!!! Such a sweet story! I hope every bite takes you back to that wonderful time in your past! 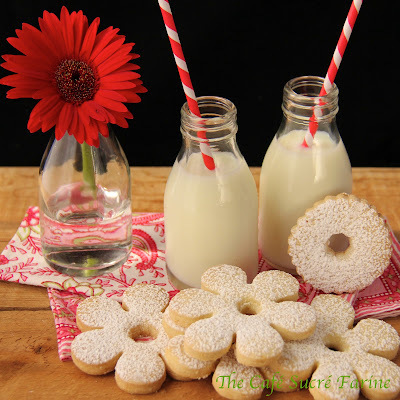 The cookies look beautiful and I am surprised by the addition of boiled egg yolks. Happy cooking during your vacation! 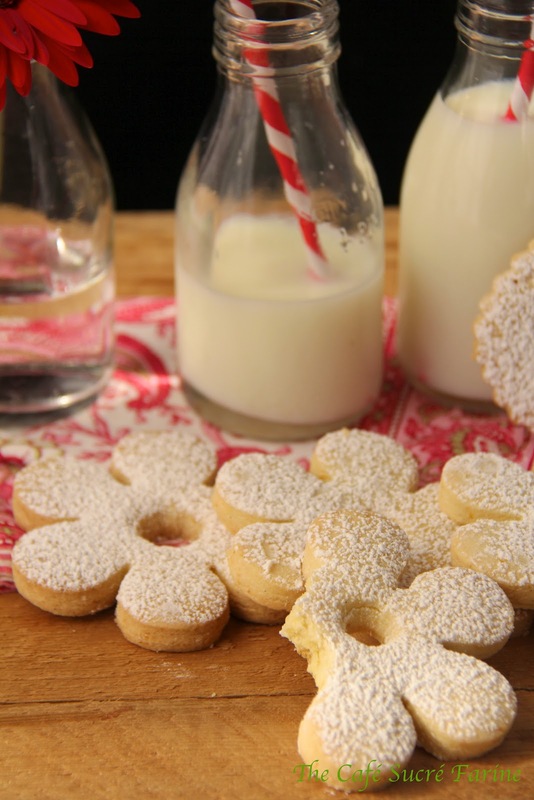 I saw a cookie recipe with hard boiled egg yolks on Annie’s Eats, but it was a hard, dry cookie–they butter cookies you get in a tin at Christmas time. Truly, these soft ones appeal to me way more! I think I’m going to have to try them. Crazy, no. Creative, yes, yes, yes! It would be so much fun having people guess what the secret ingredient is. Oh, that last photo made me smile! Interesting cookies…but if they taste as good as they look, I don’t care about any extra steps needed to make them 🙂 Another winner! Those cookies are so beautiful! Who would have thought hard boiled eggs was one of the ingredients. I’m intrigued…definitely have to give this a try! I too love to use cooked egg yolks to make cookies…they are so melt-in-mouth delicious! I think your husband must have messed up ‘creative’ with ‘crazy’. Maybe crazily creative? i dont think you’re a crazy cook, i think you are a superb cook! never come across cooked egg yolks in a cookie recipe, this sure is a bit rare, i would love to try them out! They look very pretty..so is the little chef there!